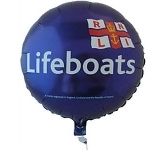 Welcome to our colourful range of balloons? One of the best ways of promoting your business is making the whole process FUN. Thus, promotional balloons should find themselves in your next marketing campaign. In fact, it would be best to include them in every marketing campaign, as these are simple yet highly effective promotional printed products. In essence, they can yield incredible results with just a bit of airy magic. What's incredible about branded balloons is that they won't even make a dent in your budget. For just a few pence per balloon, you can have a one-of-a-kind product that will not only serve as decor but as a colourful ad as well! Furthermore, balloons offer a lot of artwork space, so you can easily use them to promote any sort of marketing message. All you need is a few good ideas, a great graphic designer and a reliable company to make the balloons. With just those two essentials, they'll easily make your popularity and your brand exposure skyrocket. 1. Printed balloons are great fun for everyone! There's just something about balloons that can make any sort of event feel almost festive. They give off a celebratory vibe that's usually very hard to achieve. Thus, you can use them pretty much anywhere and ensure that your message is well received among all visitors. Moreover, they are perfect for fundraisers, trade shows, charities, events and exhibitions. You can even use them at trade shows and other similar promotional events. They'll serve as great decorative pieces while still getting your message across, capturing the attention of attendees at all times. Lastly, we need to address one of the most important traits of balloons: they have a positive connotation in almost everyone's mind. Thus, you won't ever find anyone who will refuse a balloon. What's more, no matter how old or how serious they are, most people have at least one other person that will be dazzled by your high-quality balloons. Therefore, whether that was their intention or not, they will essentially become your walking billboards. What's more, since balloons are visual marketing tools, you can bet they'll reach a wide audience. It's time to add some simple fun to your marketing campaign. So before you even decide on products that will complement these balloons, make sure you've prepared a fantastic, memorable design for them. Trust us - the results will be more than worthy of our investment. You'll even make your potential clients and customers happy along the way! We offer a variety of printing options on our vast range of promotional balloons ranging from screen printing right through to the very latest in UltraHD print technology allowing us to reproduce full colour images and logos to a standard most suppliers can only dream of. 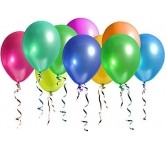 We also offer a huge range of accessories including balloon sticks, helium gas, balloon valves and ribbons. In addition, our range not only includes traditional latex balloons but also helium, foil, giant and balloons in a box - the possibilities are endless! 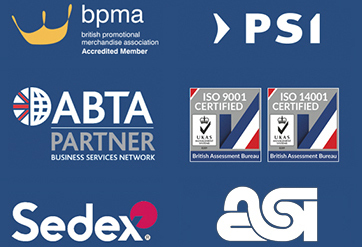 So, if you are looking for low cost, budget, value or cheap printed balloons, and happen to find the same balloons cheaper, with the same print specification and turnaround, just let us know and we will match the price and back it with our industry Award Winning Customer Service - that's our guarantee! For additional information on our range of custom branded balloons or to learn more about how promotional products help business with their marketing ambitions, why not contact us and have a chat to one of our dedicated account managers who will be happy to advise you further.